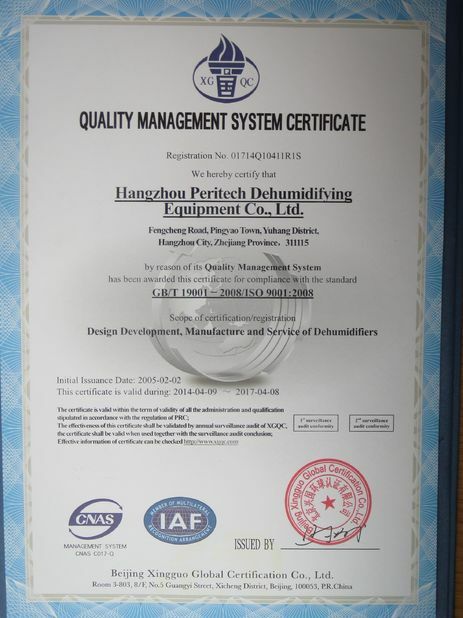 Professinal Manufacturer of Desiccant Wheel Dehumidifiers ! Create products professionally, Explore market honestly ! Many thanks for your competitive price,good quality product and on time delivery.During those years cooperation! Many thanks for your high efficiency. You are an excellent company, a very nice team. We are very happy to cooperate with you. 4. Suitable for low temperature and RH process. 5. Could be usded together with air conditioner. 9. Silica gel desiccant wheel from Sweden. 1. Main components: pre-filter, desiccant rotor, process fan, electric controller and cabinet. 2. The cabinet is made of aluminum alloy, and double insulation panel structure with high density polyurethane insulation material inside, strong, compact, anti-corrosion, and it is anti-“cold bridge” which can help avoid condensating. 3. The dehumidifier select PROFLUTE silica gel desiccant wheel from Sweden. 4. Select centrifugal fan, its impeller and vent was plated with anti-corrosion coating, it’s strong and anti-corrosion. 5. G4 rough effect air filters to assure air purity. 6. Use text display, temperature and humidity probe to control temperature and humidity. It is convenient to operate. 2. If regeneration heating type select steam, P=0.35~0.45MPa. 3. 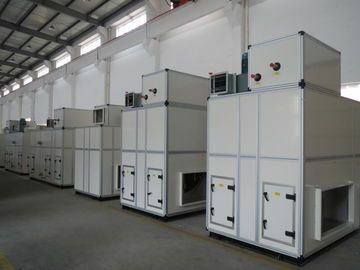 Larger airflow dehumidifiers can be customized. 1. 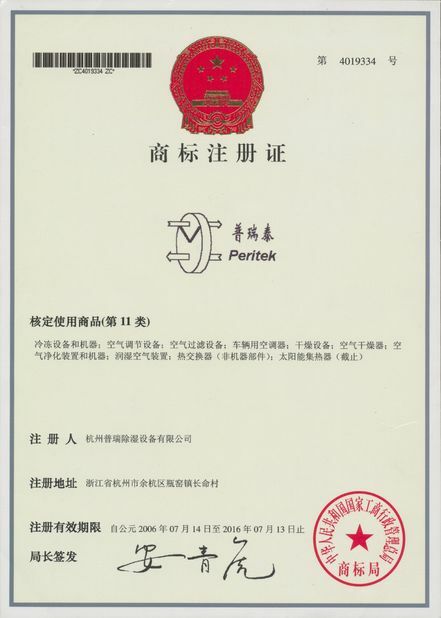 Peritek dehumidifiers are manufactured based on more than 30 years of research and development. Have been used in space suit specific cell production and become the most advanced satellite transmission tower supporting equipment. 2. 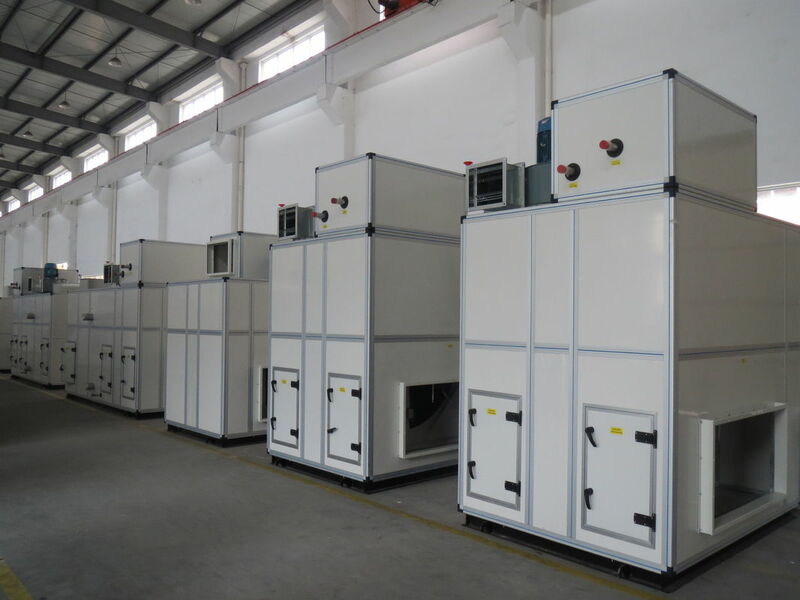 Peritek dehumidifiers with R-DD optimal design, compared with the general dehumidifier, can save energy more than 35%, and above 10% with heat exchanger dehumidifiers. 3. Dehumidification ability of Peritek dehumidifiers is great. Under normal use, after closing down for 10 hours, system can restart and reach the technical target in 30 to 60 minutes. 4. We can provide users domestic initiative remote communication interface according to your requirements, and the remote computer operation and management system networking, superior to realize remote service. 5. Peritek dehumidifiers adopt steel structure with plastic-sprayed surface (Peritek self-owned patent, patent number: ZL 2008 0163177.3 2). The core component of rotary dehumidifier is the 8-16 hour spin in turn densely cellular Conde desiccant wheel. The desiccant wheel on both sides by high-performance silicon fluorine rubber seals along the entire surface of the radial will be divided into 270 ° of the treatment area and 90 ° of the regeneration zone, when the moist air comes into the processing area, the air moisture in the desiccant wheel was adsorbed into dry air, dry air meet the need of dry place or gas production process. 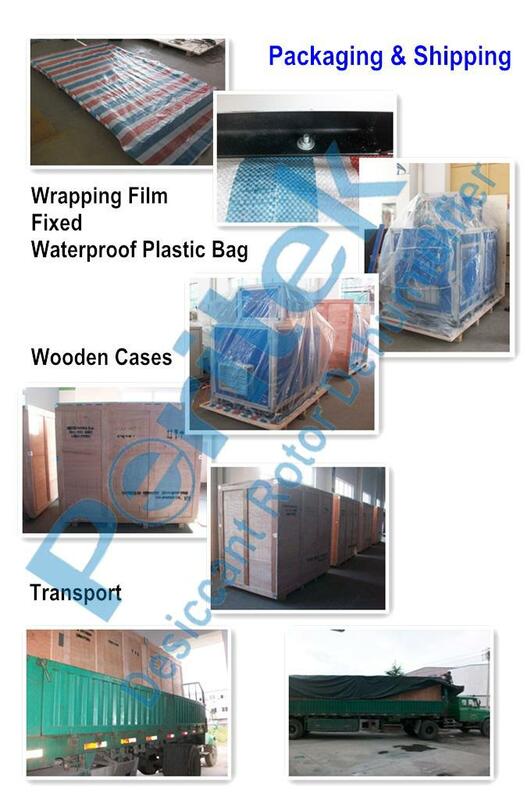 In low humidity environment, the goods, books and files will not be damaged for a long time. Widely used in processes need to control humidity in parametrical industries, for example, soft gelatin capsule, fluidized bed, tablet press, coating machine, tumble dryer, tray dryer and so on. It is widely used for precision instrument manufacture such as electronic components, astronavigation component, lithium battery etc which needs strict control of moisture. Used with chiller, it can make the dew point below -40℃ to meet the drying environment for PET chip in the chemical fibre factory. sugar store,flour processing, fermentation, drying and other processes. China Good Quality Desiccant Wheel Dehumidifier Supplier. Copyright © 2014 - 2019 desiccantwheeldehumidifier.com. All Rights Reserved.